Everything we carry has been tested and selected for its superiority. With the industry’s best coffee machines, an in-house equipment service and repair team, and an on-call emergency service, we’re here to support you and keep your business running as smoothly as a freshly pulled espresso. 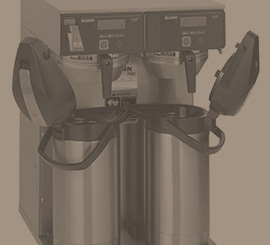 If blended drinks are part of your business, one of these revolutionary machines should be too. 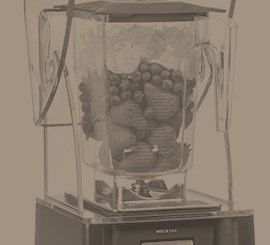 With a team of innovative engineers, Blendtec has taken the smoothie and frappé world by storm. Not only are their commercial blenders compact, they are powerful, durable, and quieter than most. There’s nothing quite like the intoxicating aroma of freshly brewed coffee, and any one of our best-in-class brewers will guarantee the flavour to match. Committed to coffee, BUNN is a recognizable brand with a strong presence throughout the industry. If you’re after a consistently better brew in a machine you can set and forget, BUNN is for you. Fetco’s approach is simple. They start with core technology that’s intuitive and continually add features to meet ever-changing demands. Their patented Cascading Spray Dome allows for even saturation of the coffee bed, so you can count on a well-balanced cup every time. The perfect shot of espresso takes skill but, with our expertly crafted blends and top-of-the-line espresso machines, you’ll be a pro from the very start. With a tradition of excellence that has been constantly improving since the 1920s, Rancilio is a first-class company in terms of technology and design, offering a full range of products to make your job easier and your coffee amazing. Egro’s One Touch super automatic machines offer just that: one touch for perfectly crafted espresso beverages. With a simple touchscreen interface, advanced ergonomics and a stylish, compact design, they are the benchmark to beat. 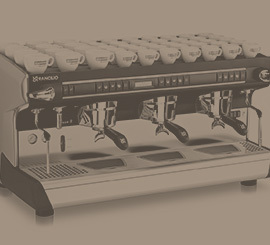 Always at the cutting edge, Franke produces advanced espresso systems. Grinding is the first step in unleashing your coffee’s potential. A precision grinder and an optimal brewing time will always lead to something special. 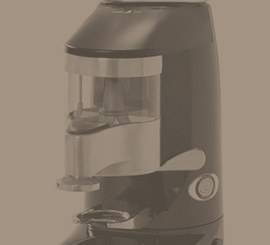 Using precision burrs to crush, rather than cut the coffee beans, BUNN grinders deliver a consistent, quality grind. Choose from single or dual bean hoppers, with a quiet high-torque motor and a portion control system. With Compak grinders you not only get a quiet grind, their cool grind technology also ensures the lowest heat transfer possible to maintain the integrity of the bean for perfection in every cup. Curtis is a family-owned company that transitioned into the digital age without sacrificing any of the quality craftsmanship they’re known for. Fetco’s precision dual grinders instill confidence with flawless commercial-grade results every time. With close to a century of Italian heritage, innovation, design, and technology to back up every piece of equipment, Rancilio’s grinders are first class. Besides our impressive selection of blenders, brewers, and grinders, we also carry thermal servers, hot water machines, beverage dispensing machines and granita machines, to keep your hot drinks piping hot and your cold drinks chilled.